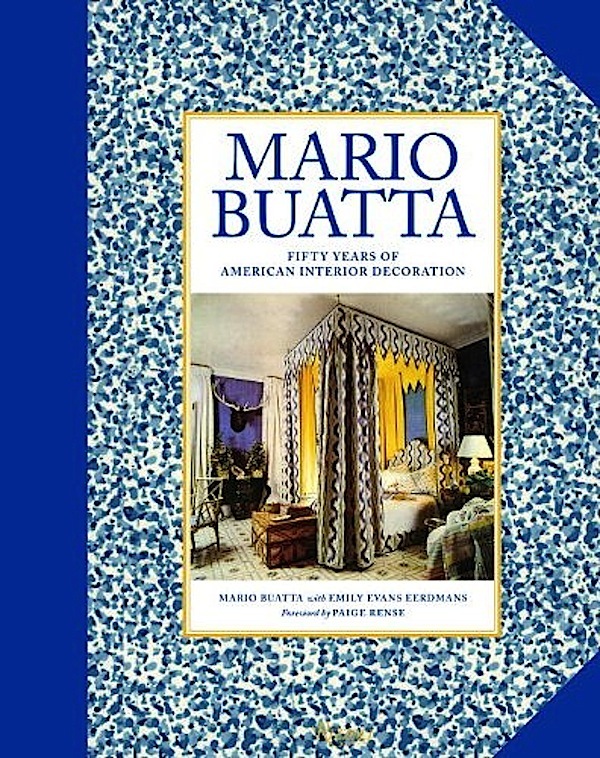 Mario Buatta is a design legend. 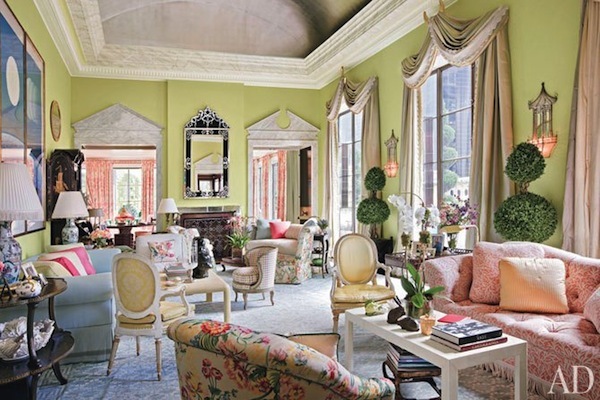 For over 50 years the multitalented decorator has been designing rooms known for their exuberant color, fearless approach to pattern and punch and yes, inclusion of chintz. But as he explained during our shoot, chintz was always merely a part of the picture. Mario is a master of the mix, creating rooms of supreme comfort and effortless chic. That’s why clients from Barbara Walters and Malcolm Forbes to Mariah Carey and Billy Joel have entrusted their homes to him. We are thrilled to feature Mario today as our latest guest on Stylish Shopping. Take a lesson from design royalty as he and Susanna shop at the beautiful new Cowtan & Tout showroom in the D&D building. Achieving the “undecorated look” for which Buatta is known takes experience and education. His talent for assembling spaces that are relaxed and easy is a combination of innate talent, a trained eye and a process. Rooms with personality and panache are the result of approaching decorating like a painter’s canvas, Mario explained, with a layered look that comes together gradually to achieve a natural and timeless ambience. 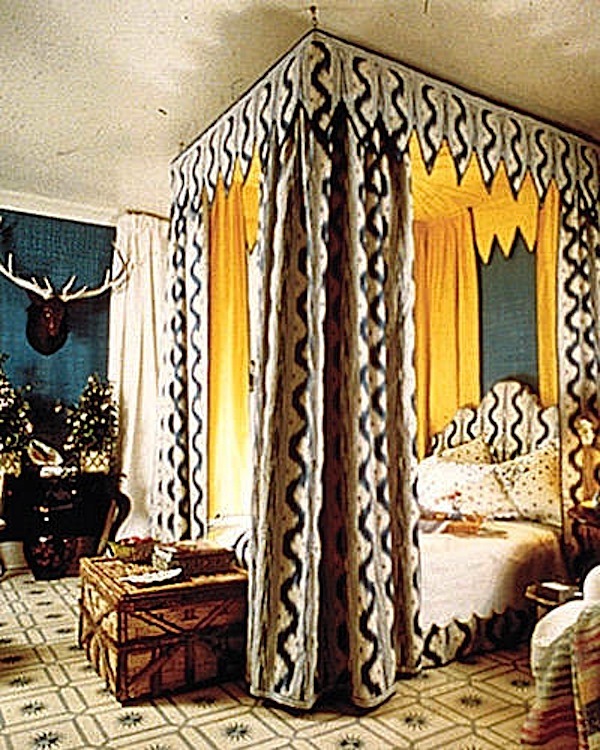 his rooms all show a dedication to detail and variety of styles. You’ll be able to see this all and more in his book debuting this fall, celebrating his 50 years of design. It was a delight tagging along with Mario and are just glad that Harold the cockroach didn’t make an appearance! With special thanks to Kate Jerde of the D&D building and Desiree Mumford and Vesna Babic at Cowtan & Tout, who couldn’t have been more helpful or accommodating! This entry posted in interior design, Quintessence video series, Stylish Shopping. Entry Tags: Chintz, Cowtan and Tout, Decorating, Designer Fabric, interior design Bookmark the permalink. another great interview! love how he describes his process, like a painter paints a canvas! One dab at a time! .. Love that and totally agree eith TF girls ..
Have met Mario and he has the best sense of humor which is something that struck me as completely unexpected from the Prince .. And who wouldnt want to be his Princess ?? Great job both ! As I saw the Quintessence email in inbox I prayed: “please, oh please, let it be SS with SS. And Mario Buatta just happens to be my first Design Idol. Thank you for starting my day off with perfection. SS with SS! Love. That’ll have to be our new catch phrase: thanks! Always lovely, always fun, always EXCELLENT. You make my day with these videos. I cannot consume them or share them fast enough! Keep em coming…absolutely love these videos. Great quote by Mario”stripes are a great eye cleanser”….fabulous job ladies! Forget Hollywood…Mario has been my idol forever. I would hang out with him ANY day ! Thanks for the video! What a fantastic interview and wonderful video. 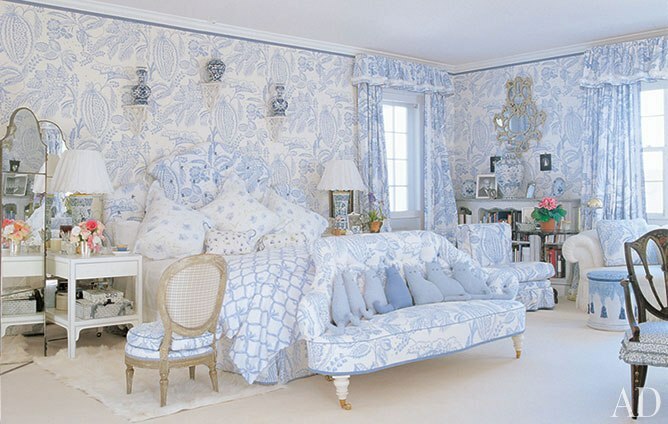 Love the way his rooms all look collected and can hardly wait for the book – one of my favorites!! he’s so soft spoken. I so love these videos! Great to hear the words out of the mouths of the masters. Excellent interview. A little lesson with the master! What a fantastic interview! I think I might now be just a little obsessed with Mario Buatta! I miss all those beautiful floral Chintz’s. I want them back.. What a treat to meet Mario, we chatted him up at market once and he was lovely. 84 queries in 0.524 seconds.